Sometimes we might need to reset our email password because we have either forgotten it, or simply want to set a new one. 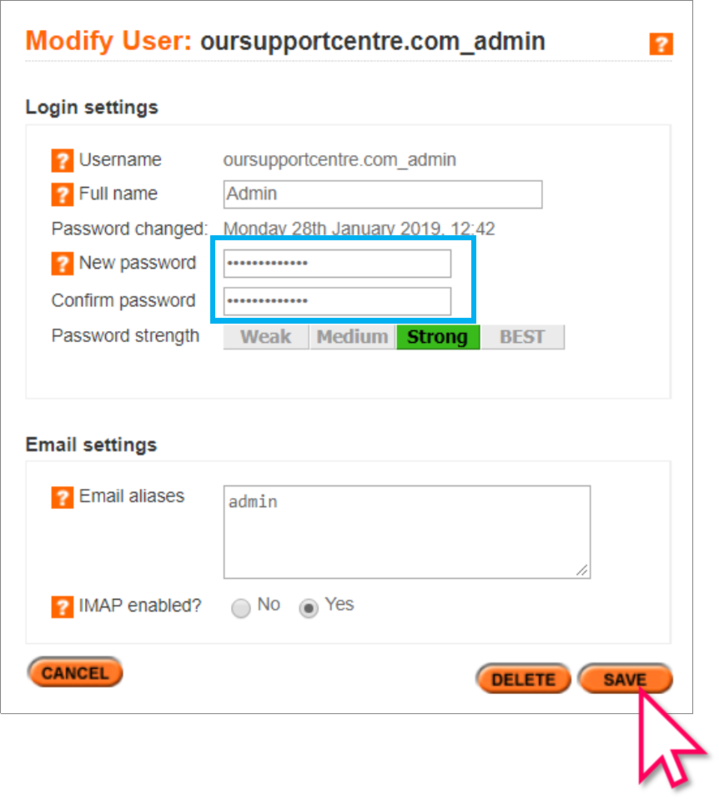 Let's see how we can reset our email password from within the Control Panel. 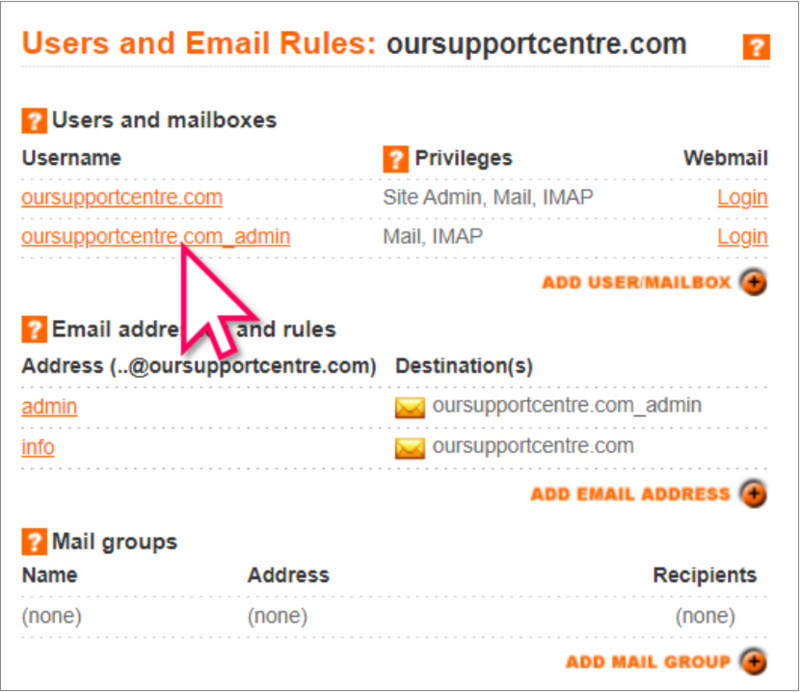 Now that you're logged in, find your domain name on the Control Panel Home page, and click Manage Email. 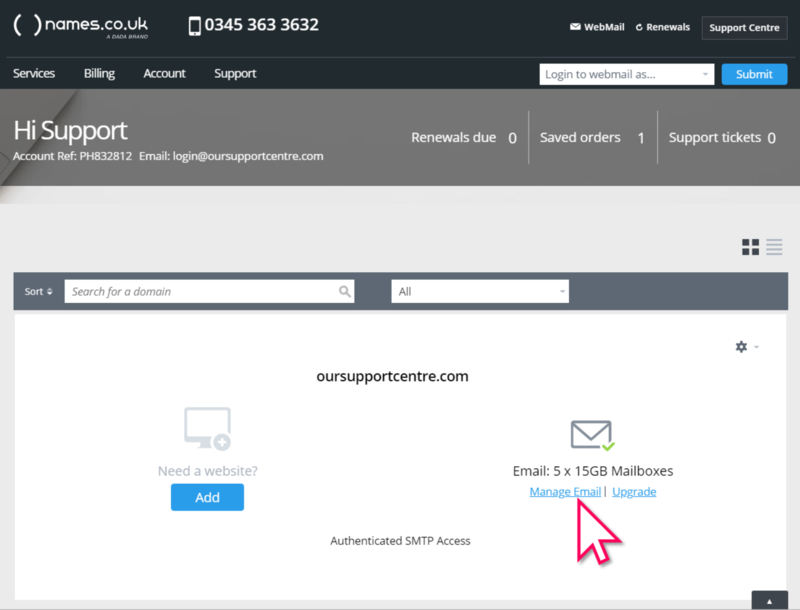 On the next page click on the mailbox user that you would like to reset. Next, enter a new password in the fields provided, and click Save. Password must be at least 8 characters and contain 3 of the following: a lower case character, an upper case character, a number and/or a special character. It must also not be based on a dictionary word! Congratulations, your email password has now been reset! Make sure that you update any devices that are connected to your mailbox with the new password you have set.